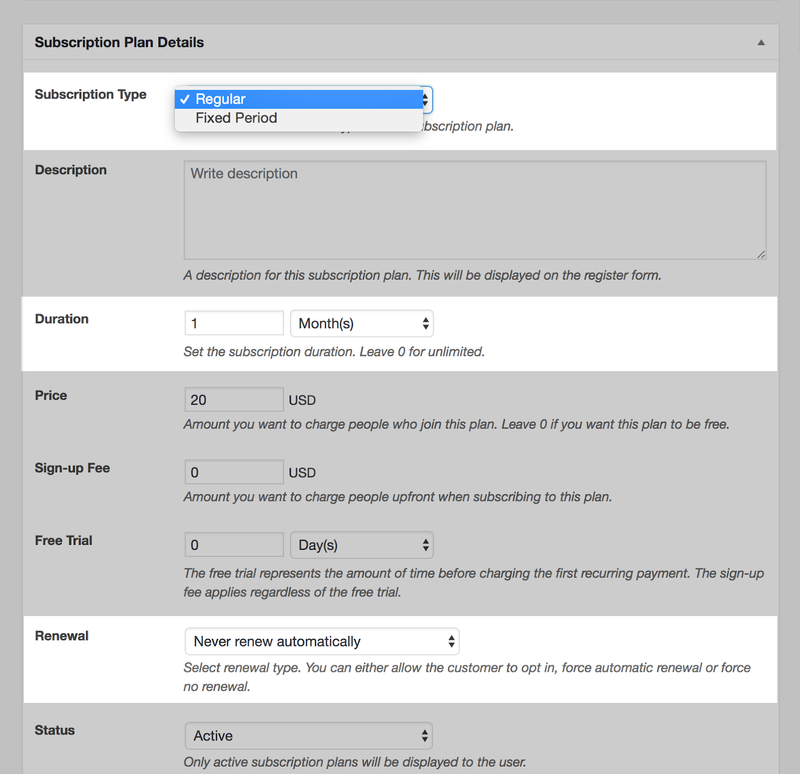 Fixed Period Membership is a Basic add-on, available with a Paid Member Subscriptions Hobbyist or Pro license only. Alternatively, you can install the Fixed Period Membership add-on by extracting the folder found inside the archive and uploading the entire folder via FTP to your /wp-content/plugins folder found inside your WordPress install. 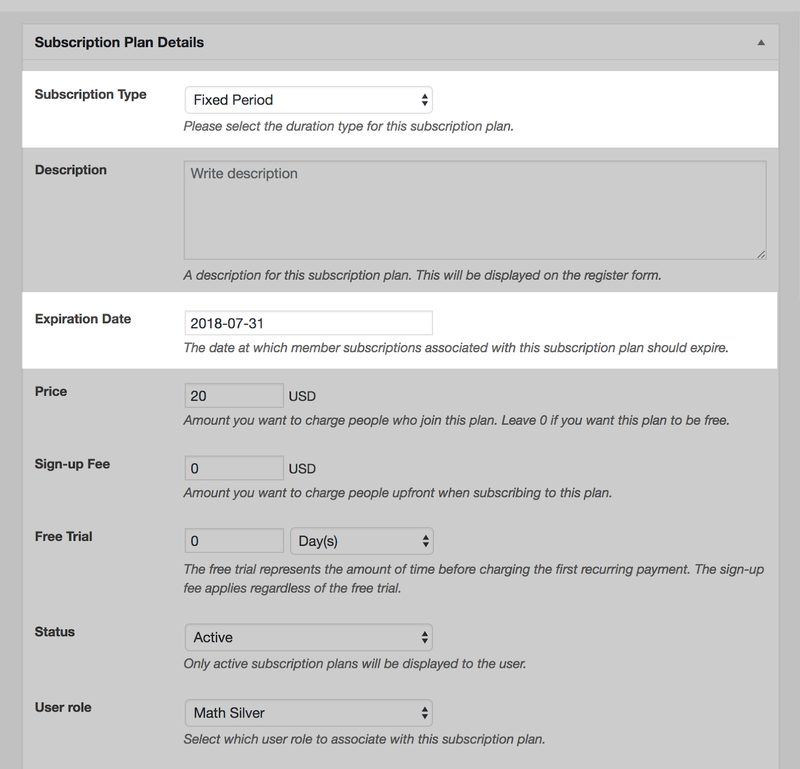 When we choose ‘Fixed Period’ in the Subscription Plan Details meta-box the ‘Duration’ and ‘Renewal’ options will disappear and the ‘Expiration Date’ option will appear instead.